In this segment of the Twitter for Business series, we explore the hidden treasures of the Twitter platform. The platform may seem simple, but there are many features and functions you may be missing if you don't know where to look. This is a good introduction for beginners, and may even introduce seasoned Twitter users to areas they never knew existed. 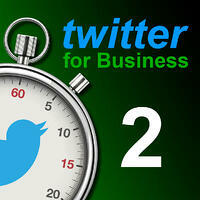 Twitter for Business teaches you everything you need to know about leveraging twitter to market your business. There are 17 lessons. You can learn the essentials in under an hour. But if you want more, there is an additional hour of Bonus Lessons and videos. Every week, I share a new video. Subscribe to xoombi to get immediate updates when I publish each lesson. I'll see you next week when I share my Complete Guide to Twitter Settings! If you have thoughts or questions about anything I discussed in this lesson, please ask them in the comments section below... I check messages regularly and look forward to interacting with you.